So excited to be collaborating with QVC to share their “Feel Nice” box they put together for me to try. I have been compensated for this post but all opinions are my own. Y’all know I shop QVC often. 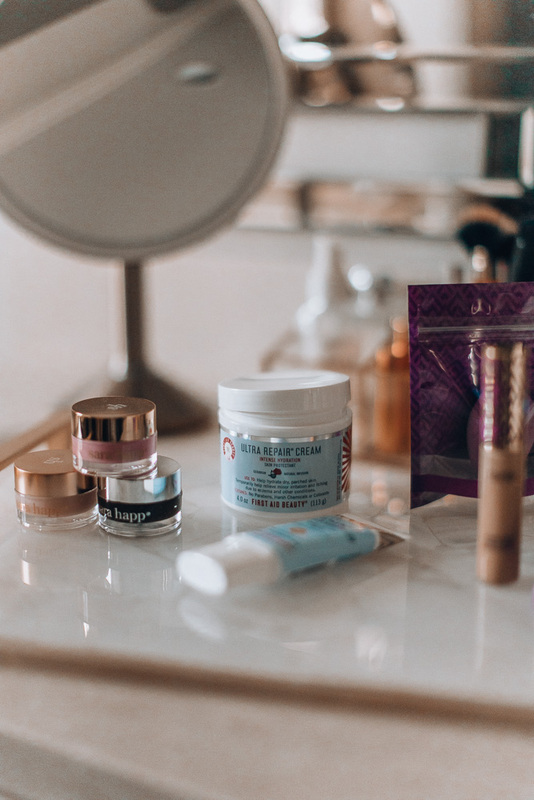 They always have really good deals on a lot of my favorite brands and beauty products. Today I am sharing a bunch of “Feel Good” items all available for individual sale on qvc.com – products I love. 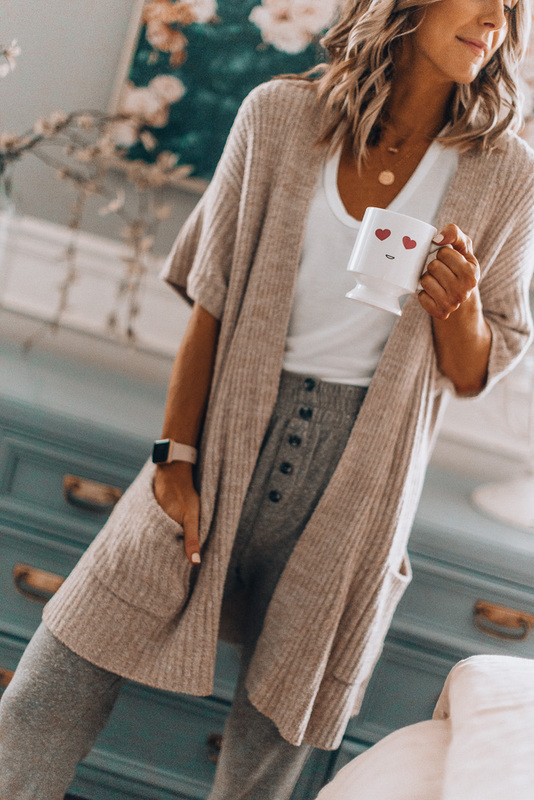 Barefoot Dreams Cozy Ribbed Kimono Cardigan (wearing size small in the blush color) I love this kimono cardigan for summer! Barefoot Dreams is known for how soft and feel good their products are. I love putting this on in the morning or evenings when it’s cooler and drinking my coffee all cozied up. 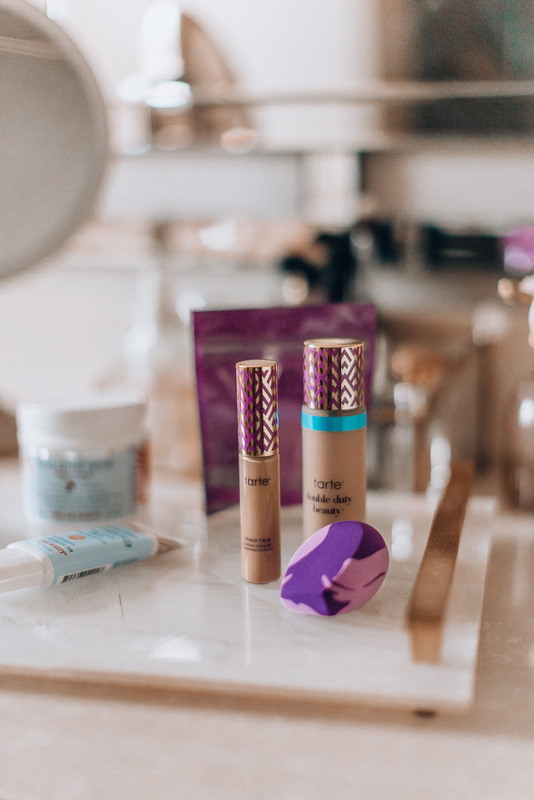 Tarte Shape Tape Concealer – This is the ONE concealer I swear by and LOVE. It covers my dark circles best and stays in place all day! It’s great this comes with the sponge because as recommend, apply with a sponge and not your finger! 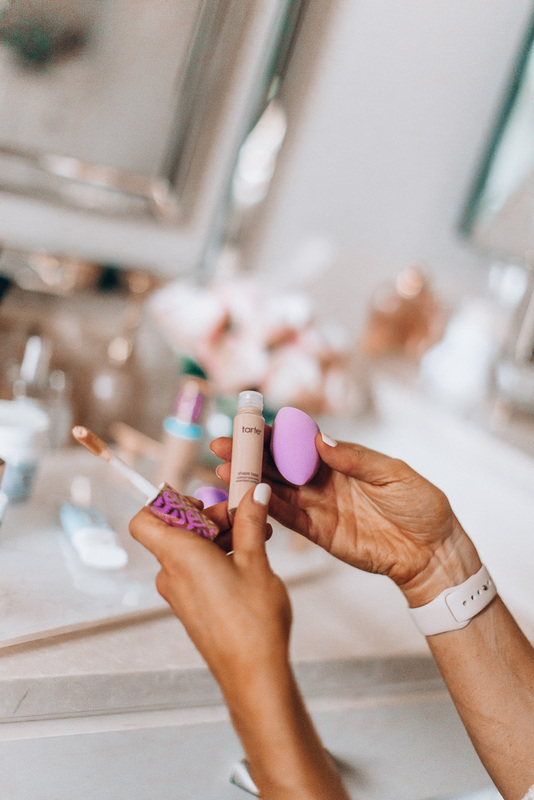 Tarte Shape Tape Foundation with sponge – So I have been using this for the past couple weeks now and love it! So nice it comes with the sponge to apply. The reviews speak for itself! It’s a gel foundation, inspired by my MOST FAVORITE concealer, it’s hydrating and has buildable coverage! 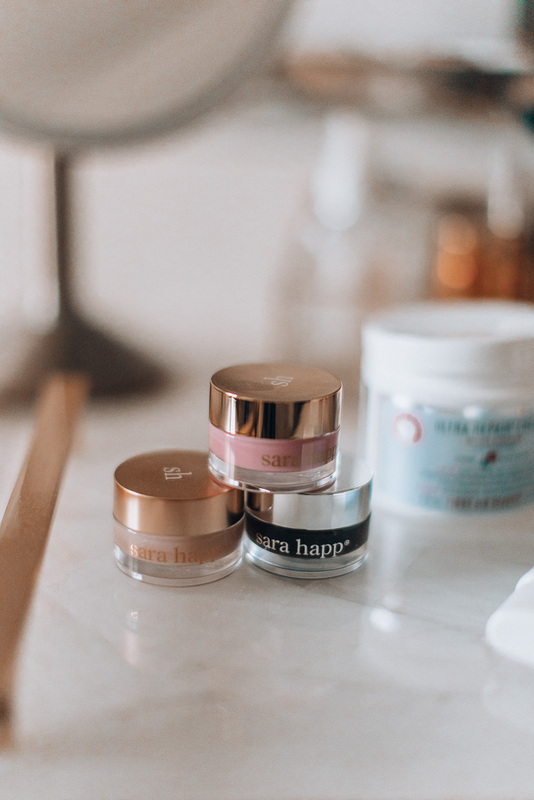 Sara Haap Perfect Pout in a Box – This lip scrub set is sooo luxurious I want to use it twice a day! I love how it has all the components in one package to keep my lips exfoliated, smooth and soft. Will be buying this gift for all my girlfriends and sisters! First Aid Beauty Tinted Moisturizer – I use a tinted moisturizer with SPF every single day. I feel naked without it! 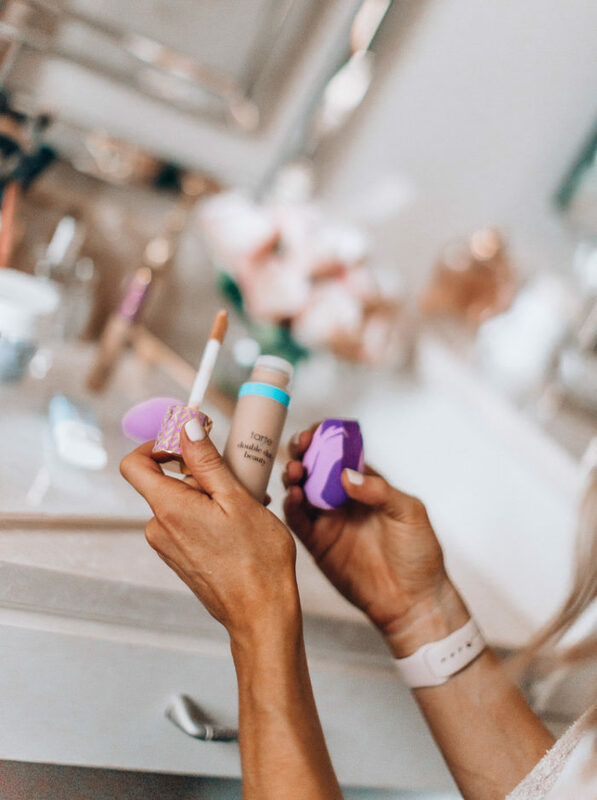 I love that is has just the right amount of coverage if I am not putting on makeup for the day and my skin is always protected It’s perfect for those summer days when I don’t need heavy foundation or powder. 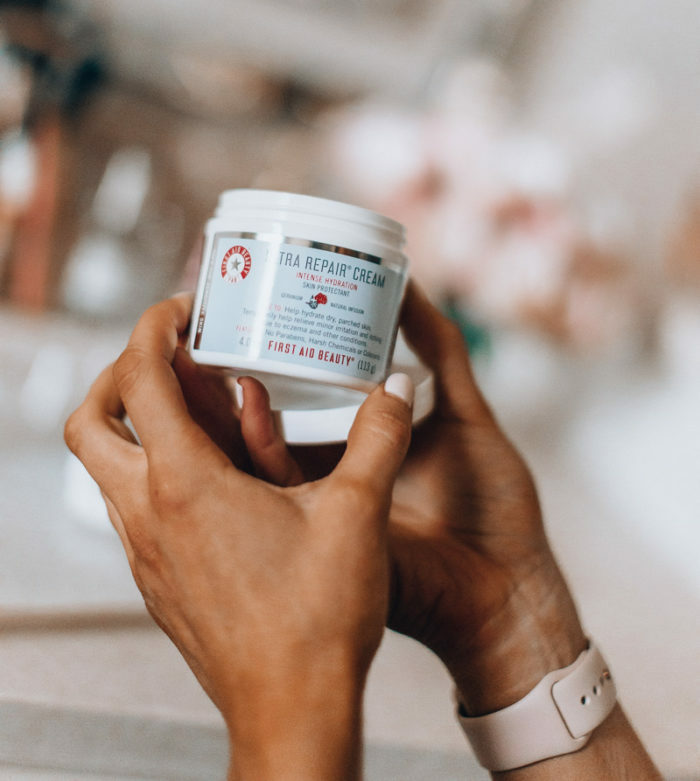 First Aid Repair Cream – This has been a beauty staple of mine for years. I have a jar in my bathroom, in my night stand, and in my kitchen. I use it on my hands, on my feet. I have dry cuticles and dry hands so having this on hand is essential! They make for great gifts too! Laura Felt Silky Denim Flare Jeans TTS- The fabric on these jeans is sooo soft! I am pretty particular about my denim and I have to say, these may be the most comfortable pair I own to pair. 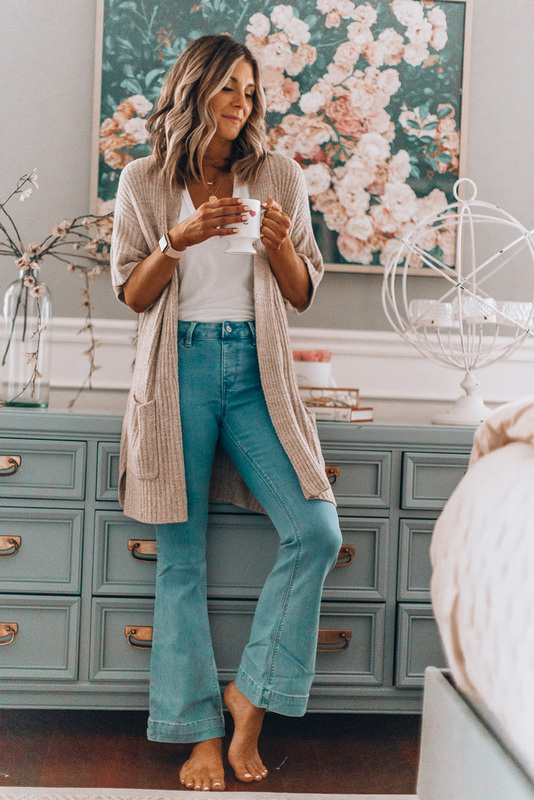 Such a cute pair of flares for Summer and so comfortable. They fit so good! Thave some stretch so they fit your curves and don’t loose their shape. What’s great is that you can shop all these “feel nice” items all in one place and at great prices! Hi! 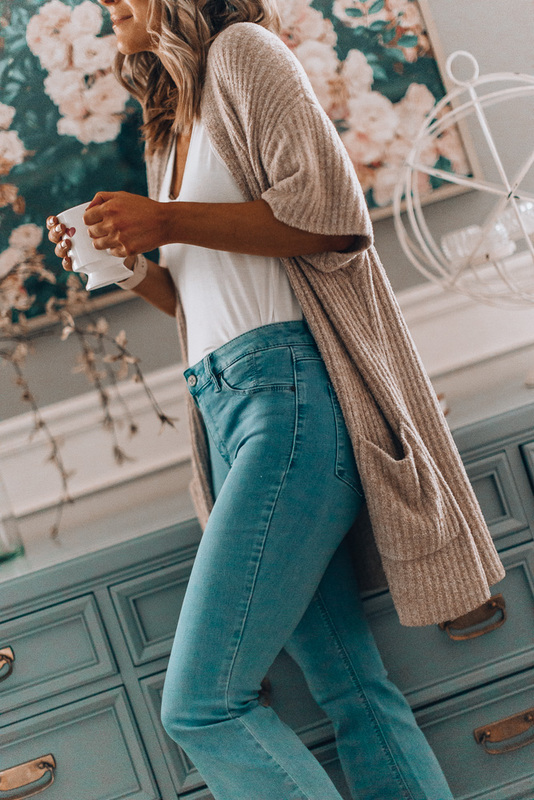 What size and color are you wearing in the pull on jeans? Thanks! Love your home decor! Will you be doing a blog post on these items as well? Great post! That box set looks amazing. I’m loving all these box sets for outfits and beauty supplies. They’re such time savers, and it’s like getting a present! I’ve never shopped QVC before but I have recently been hearing about more brands that I use selling items on there. I was definitely surprised to read about Tarte on QVC. I’ll have to check it out.